Adobe Acrobat has undergone a tremendous evolution in recent years. 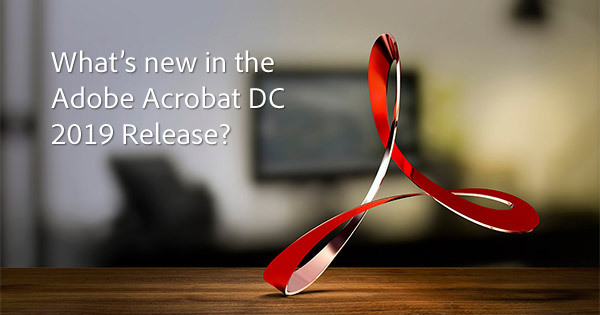 When the new Acrobat “DC” generation first arrived in 2015, people weren’t quite sure what to make of it. But now, almost four years later with several major releases plus fully-integrated mobile apps for PDF management, document scanning, and electronic signatures, the Document Cloud has arrived and most of us wonder how we ever got along without the workflow productivity it brings. 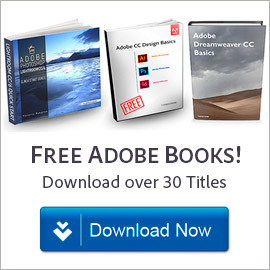 Longtime readers know that we offer a series of free books for Adobe software with over 30 different titles that anyone can download on how to best use the different major products… These books have been extremely popular and well-received. But since Adobe software is all about creating, for a long time there was a missing part: a collection of free books simply about building your creativity – something that everyone in the world can use and benefit from… So here is that set! You can legally download and use the five PDF e-books below to inspire your own creative process and help improve your work, no matter what you do in life. 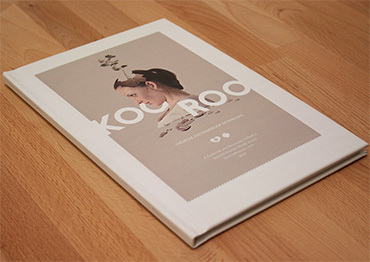 They are (in our view) all easy, enjoyable, and enriching reads. What are the differences between the types of Creative Cloud membership? This is a question we get a lot, so here’s a handy comparison guide on the major differences between Creative Cloud for Teams vs. CC for Individuals. In another article, we already covered the all the differences between Creative Cloud Student & Teacher vs. regular editions. 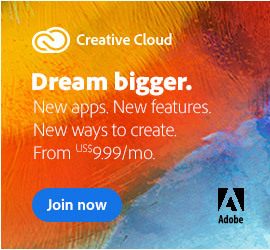 Creative Cloud for Teams is Adobe’s volume licensing solution for businesses, studios, design shops, agencies, companies, offices, schools, and other organizations. 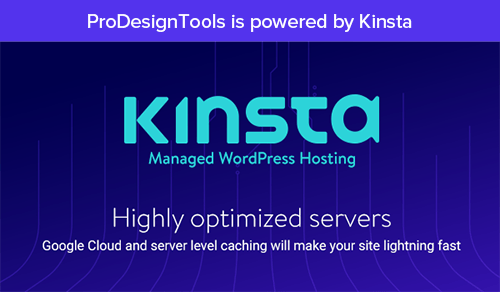 It includes everything that CC for Individuals does, but gives you substantially more features and capabilities for managing and working with different users. It’s meant for groups (such as small to midsize businesses and departments) with multiple seats using the products at the same time. 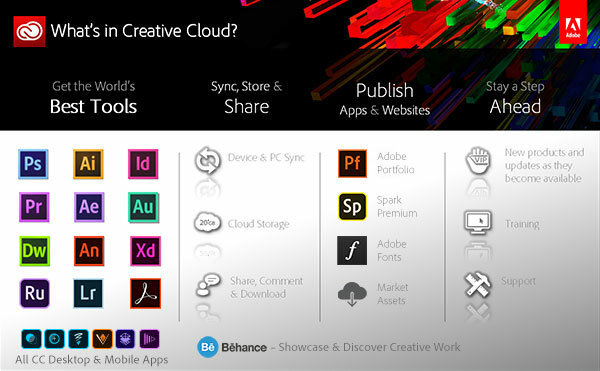 For large businesses, Adobe recommends Creative Cloud for Enterprise. Six years ago, Adobe acquired Behance – the leading online community and social media plat­form for creative professionals, which is often referred to as “The LinkedIn for Creatives.” Back then, Behance had about 1 million members. Since that time, with Behance’s inclusion into Creative Cloud (even with the free level), growth and participation have exploded – and the Behance community now boasts over 14 million members receiving 70 million project views per month. With Behance, you can easily upload your photo­graphs, projects, or portfolios and gain a fantastic way to showcase, share, and get exposure for your work as well as receive feedback from your creative peers, and get inspired for future work. You can publish many types of media such as images, text, illustrations, video and audio, and follow statistics on how many views your projects are getting, and potentially make money. 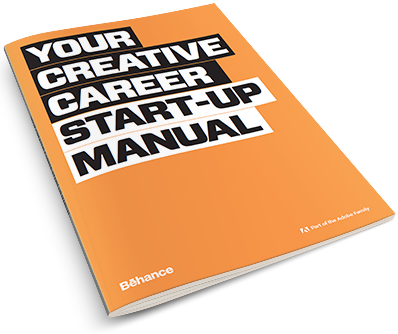 There’s even a helpful job list for creatives and freelancers, with hundreds of employment opportunities. With one year wrapped up and a new one just beginning, it seemed a perfect time to put together a review of the best and most-shared posts published here since our site launched in 2009 (almost 10 years ago! ), including some very popular free books. These are the top posts that consistently have the highest readership on our site, month after month, covering all major Adobe software products… They’re broken out by topic below in case you’ve missed any, or are new here – so bookmark, share, and enjoy! ‘Tis the season for holiday deals, but it can also be the season for order changes or returns… Although naturally, this can happen at any time of year. 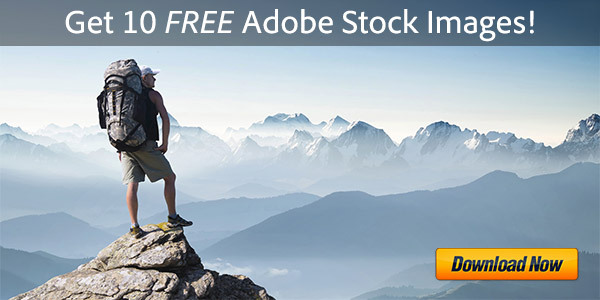 Sometimes even despite using Adobe’s free trial downloads to try out the software before buying, customers may want to exchange something and get a different Adobe product instead – say swapping Lightroom 6 for the CC Photography bundle, or returning an individual CC tool and getting the full CC 2019 suite instead (which includes 21 applications instead of one). 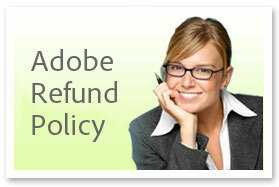 So did you know that Adobe offers a full money-back guarantee on almost all current products? 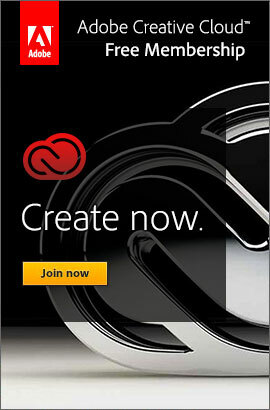 This includes Creative Cloud (CC), Acrobat, Lightroom, Captivate, Photoshop Elements, and so on. 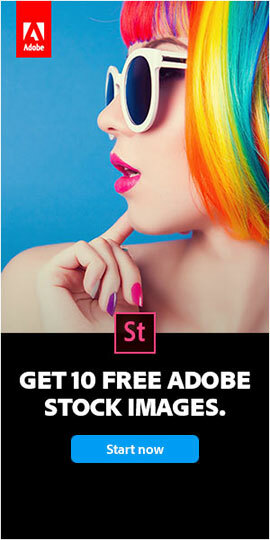 This offer applies even after you’ve already downloaded and installed the product on your computer(s) – however, only software purchased directly from Adobe.com worldwide can take advantage of this refund policy (not resellers, retailers, or auction sites). Yes, it’s true – you can simply contact Adobe within 14 days of your order for subscription products, or 30 days of your order for non-subscription products – via live online chat is usually fast and convenient. Then, provided you follow the correct procedure, they will take it back (after being uninstalled and deactivated from your computers, if applicable) and issue you a complete refund. With over 15 million customers having already signed up in the six years since it launched, Adobe’s Creative Cloud (CC) product line has been a success exceeding even the company’s own expecta­tions. Still, there are a lot of misconceptions out there that we see from time to time, or that some folks seem to believe… (do you?) Here below we dispel and debunk the top 10 most common myths we’ve heard – and hopefully even if you already know the scoop or use Creative Cloud you’ll pick something up… read on! 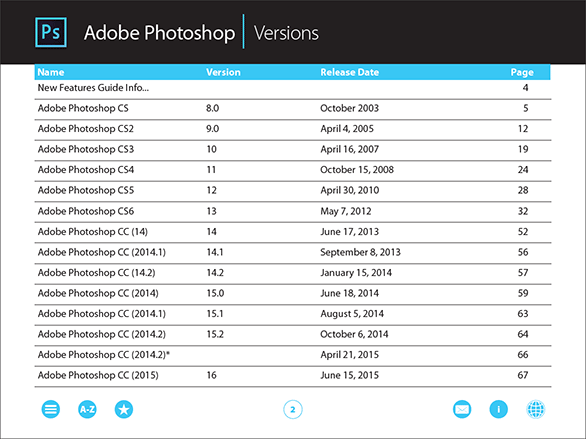 Last month, Adobe shipped the all-new CC 2019 set of tools and services – a milestone marking the seventh major release of the CC product line, which replaced CS6 from 2012. This latest CC version contains thousands of new features and advancements compared to CS6 (across all creative applica­tions), and it is available only via Creative Cloud membership – a community which now surpasses 15 million paid subscribers. 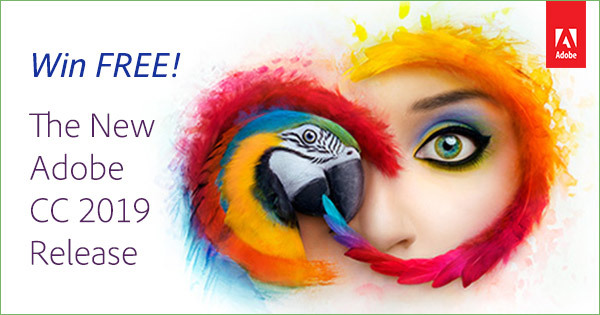 Adobe CC 2019 is also known as the Creative Cloud 2019 Release… And that is exactly what we’re giving away for free below, and this offer is open to everyone world­wide.